To sustain growth, leaders in agriculture are prioritizing their goals for the innovations. The collection of data from agriculture sensors, monitoring and analytics together with inputs from other data sources is the key to increase the efficiency of the agriculture. Prediction of the quality of the crop is critical for the revenue predictions. The collection of data from agriculture sensors, monitoring and analytics together with inputs from other data sources is the key to increase the efficiency of the agriculture. 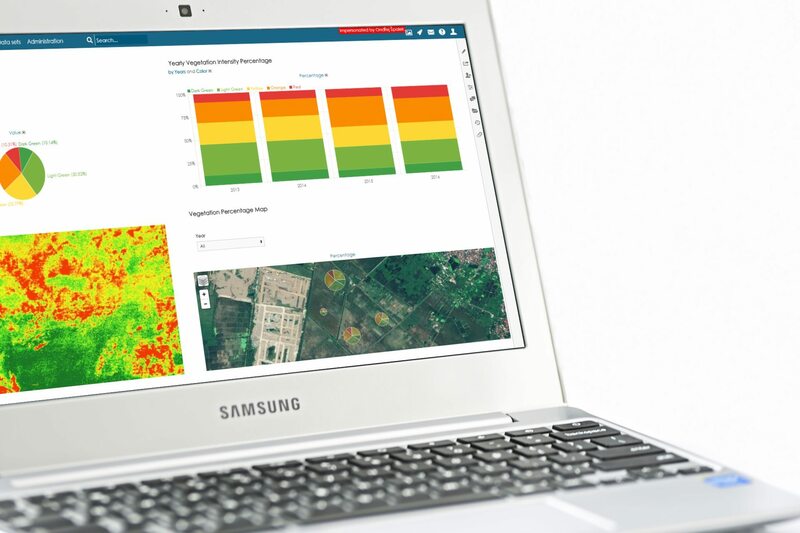 BellaDati smart IoT analytical solution for agriculture collects data from the 3rd party multi-spectral sensors that capture both visible and invisible images, providing calibrated data to optimally monitor the health and vigor of your crops. Sensors capture calibrated wavelength, green, red, red-edge and near infrared to highlight the health of plants as well as for sunshine sensor. 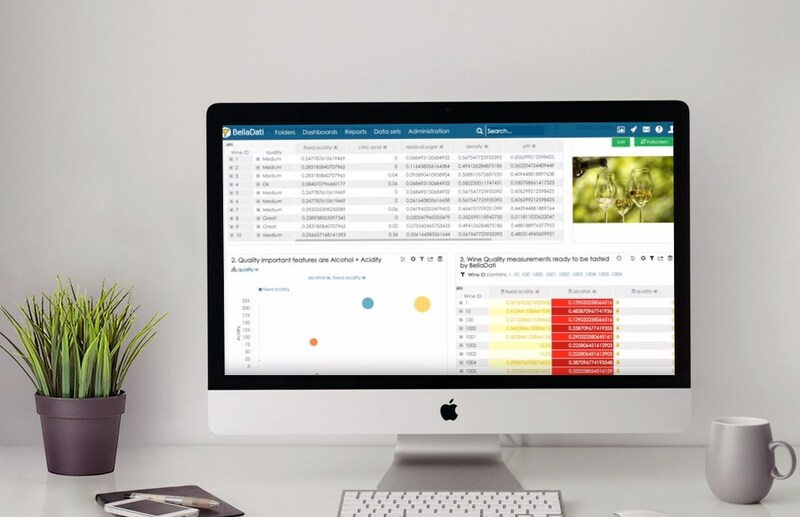 BellaDati smart IoT analytical solution for agriculture collects data from sensors, provides real and long time monitoring and operational dashboard, that is complemented by the dashboard for the prescriptive actions as for example the fertilizing plan. The high availability of assets is critical for any other fixed asset based company as telecommunication operators, utility providers, wind turbines operators, lift operators, ships, trains and many more. Normalized Difference Vegetation Index (NDVI) is a measurement of the amount of live vegetation in an area. Data, metadata and images are collected with drone equipped with NDVI camera and then processed with BellaDati IoT Data Collector and sent to BellaDati Machine Learning Studio. NDVI images are analyzed by Belladati videoanalytics to assess the quality of plants, the development of the plant quality in time, geographical distribution and many more. Our customer used BellaDati Advanced Analytics Framework to predict the quality of wines. Predictions of wine quality helps wine producers to decide what are the major predictors of the successful product and which products from their portfolio will be the most successful sellers, so that they can optimize the price. Such prediction helps wine producers to maximize their revenue.